Enzymatic colourimetric assays are used to determine the concentration of a chemical in a solution by the conversion of a chromogen substrate into a coloured product. We have introduced a plasmid expressing recombinant Alcohol Oxidase 1 (AOx) from Pichia pastoris into Escherichia coli BL21 (DE3) strain that will then be used in the cell-free colorimetric system. This method involves the usage of AOx to oxidise ethanol, producing hydrogen peroxide (H2O2) as a by-product. H2O2 is used as an oxidising agent by horseradish peroxidase (HRP) to convert ABTS (2,2'-azino-bis(3-ethylbenzothiazoline-6-sulphonic acid)) to produce the colour change . 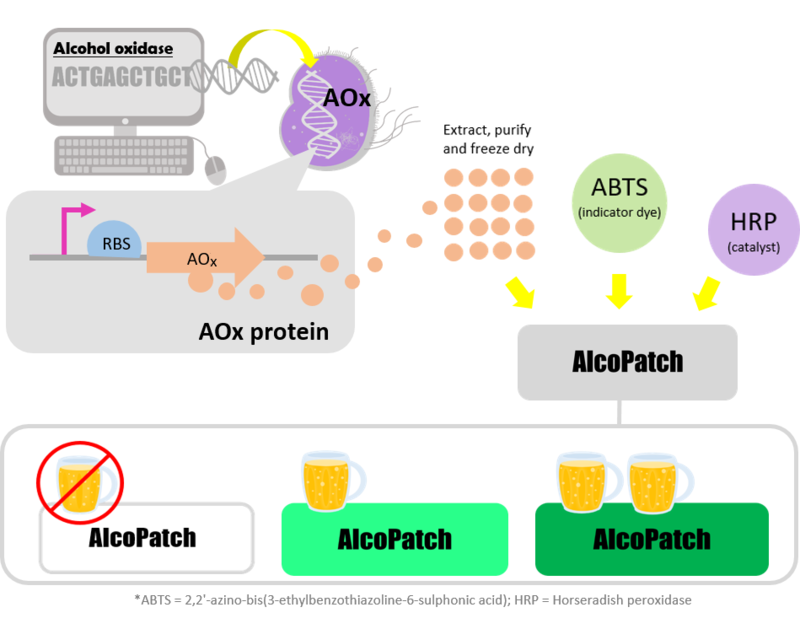 The alc gene expression system is one of the most reliable chemically inducible gene switches for use in plants  and fungus . 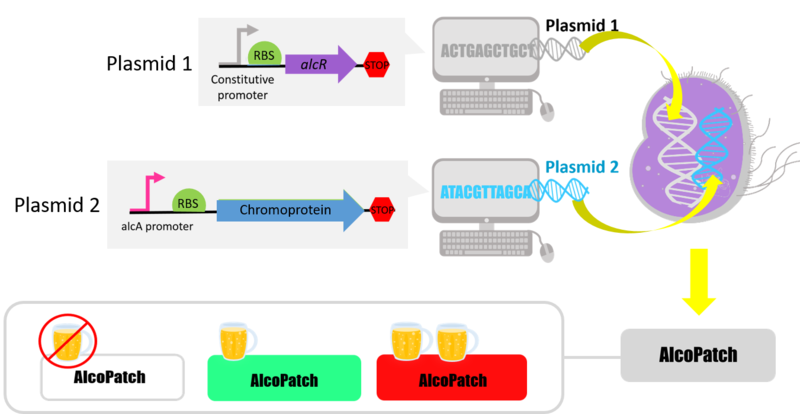 This system relies on the ability of AlcR, an alcohol-activated transcription factor, to bind to its target alcA promoter (PalcA). Based on this, we have engineered E. coli K-12 derivative DH5α and BL21 to induce expression of chromoproteins when AlcR binds to the native PalcA and variant of PalcA ( PalcA(var)) in the presence of ethanol .